At midday children eat a packed lunch or hot meal under supervision and they also have time to play outside. 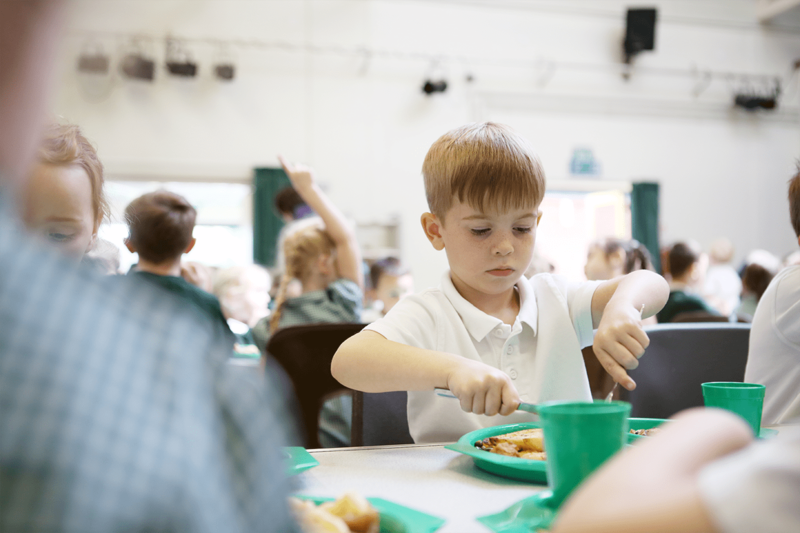 Reception and Years 1 and 2 children are entitled to Universal Free School meals, which must be ordered via ParentPay. Meals are also available for KS2 children at a cost of £2.50 per meal and are bookable per half term via ParentPay. Packed lunches should be sent in a small, named, secure container. Glass or tin containers are not allowed, neither are fizzy drinks. Water is available in school. Children may bring in a fresh fruit or vegetable snack to eat at morning break. A free piece of fruit is provided each day for the three younger classes. The school encourages healthy eating. Sweets, chocolate and crisps are not allowed. However, once a month (on a Friday) we do have a ‘cake day’. This is to raise funds to help subsidise school visits and the cakes cost 10p each, payable via ParentPay.